Nintendo, best known as the creator of the dog from Duck Hunt, turns 125 today, and if that doesn't seem very old, consider this: when Nintendo first started, the U.S. had 38 states, and the president was Benjamin Harrison. 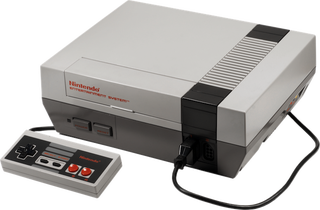 Yep, today we know Nintendo for iconic video games like Barker Bill's Trick Shooting and Ken Griffey, Jr. Presents Major League Baseball, but for most of the company's life it was developing and producing cards, toys, and all sorts of other random ventures. Nintendo didn't actually get into electronic gaming until the 1970s. Nintendo was born on September 23, 1889, and right now in Japan it is September 23, 2014. Happy birthday, Nintendo! Keep up the good work.